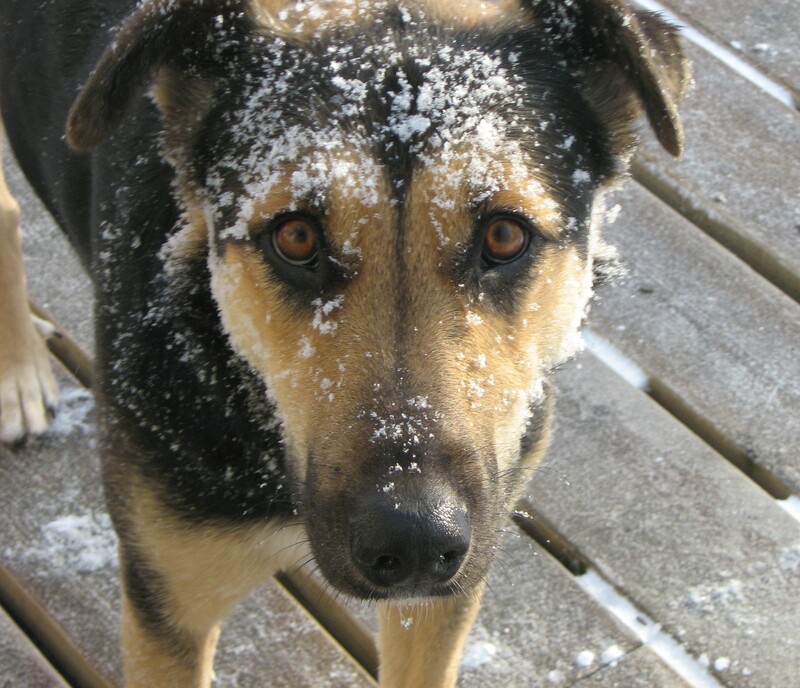 Maggie is a rescue dog and she picked me on December 21st, 2011 (Winter Solstice). I’d never had a dog with a sense of humour as big as hers. She’s quite the character. I affectionately call her my “weirdo”. I can relate. 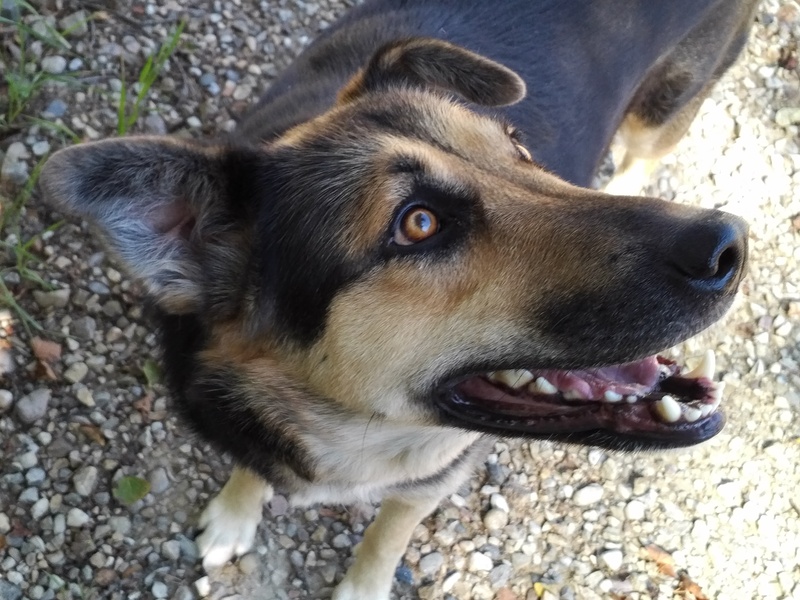 Miss Maggie is a mixed breed; the shelter had no idea what mix she is so she was generically labelled a “shepherd cross”. Earlier this year (2015) I decided to finally have her DNA tested. I was curious as to what she was all mixed up with. Many people offered an opinion and they were all, essentially, wrong lol. The most frequent guess was Doberman (due to her lack of undercoat) and Husky (she has webbed toes). I wondered though whether she might have some hound dog in her, because she doesn’t howl – she bays! Way to keep it interesting Maggie! Now that I know her genetic background, it explains her physical features and personality. Does it matter what breed Maggie is? Nope, because I love her just the same.